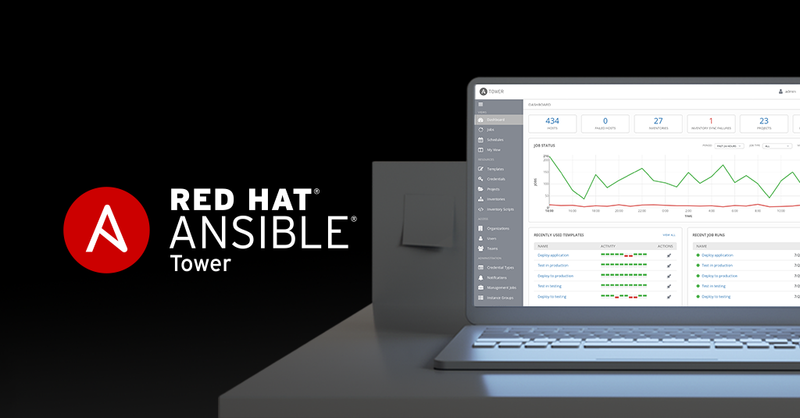 Smart Inventory is a feature that was added to Red Hat Ansible Tower 3.2. The feature allows you to generate a new Inventory that is made of up hosts existing in other Inventory in Ansible Tower. This inventory is always-up-to-date and is populated using what we call a host filter. The host filter is a domain specific query language that is a mix of Django Rest Framework GET query language with a JSON query syntax added in. Effectively, this allows you create an Inventory of Hosts and their relational fields as well as related JSON structures. The ansible_facts field is a related field on a Host that is populated by Job Template runs (Jobs) that have fact caching enabled. Ansible Tower bolts on an Ansible fact cache plugin with Job Template that have fact caching enabled. 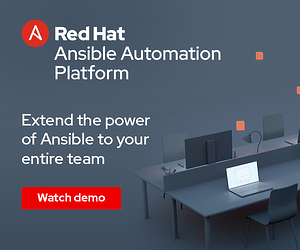 Job Templates of this kind that run playbooks that invoke Ansible gather_facts will result in those facts being saved to the Ansible Tower database when the Job finishes. A limitation of the Smart Inventory filter is that it only allows equality matching on ansible_fact JSON data. In this blog post I will show you how to overcome this limitation and add hosts to a Smart Inventory using, for example, a range query on if a host is part of a subnet. Enough talking about it, let’s see an example. We are going to have to create objects in Ansible Tower. Specifically, the objects in the table below. Now, let’s make something happen. Run the gather job template. Then look at the resulting facts that got gathered in the UI for the Inventory Autobots. Above is an example of how you view the results from the fact gathering process in the UI. Now let’s see how we can create a Smart Inventory from the facts gathered. We will create a smart inventory that contains only Red Hat hosts. 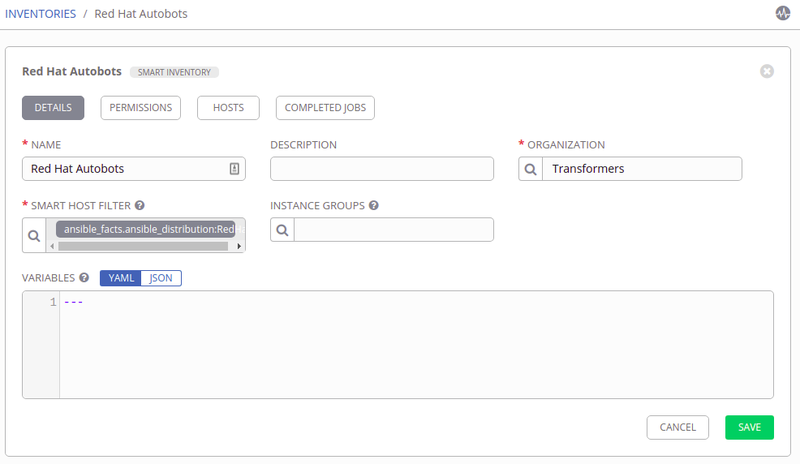 In my example, optimus and bumblebee are both Red Hat hosts while jazz is an Ubuntu host. My new smart inventory, Red Hat Autobots, contains 2 hosts (see below image). We are now going to leave the Smart Inventory feature and go back to fact caching. 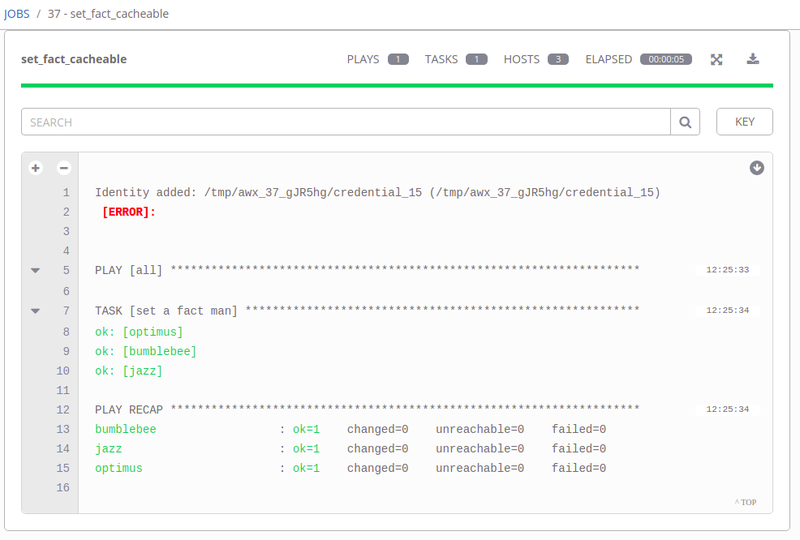 Specifically, I am going to show you how to set_fact in a playbook and have that fact stored in Ansible Tower. Run the job template set_fact_cacheable. Below is the result of that run. Now, let’s look at the facts for any of the 3 hosts that this playbook ran against. Notice how bumblebee now has a new set of facts (see below image). These facts were set by this playbook which uses the set_fact Ansible module with cacheable: true set. Now I’ll show you an example using all these pieces to construct a Smart Inventory of hosts within a subnet. This is a good example because selecting hosts based on subnet is a range query, it is not a simple equality query. Therefore, we are going to need to leverage 3. 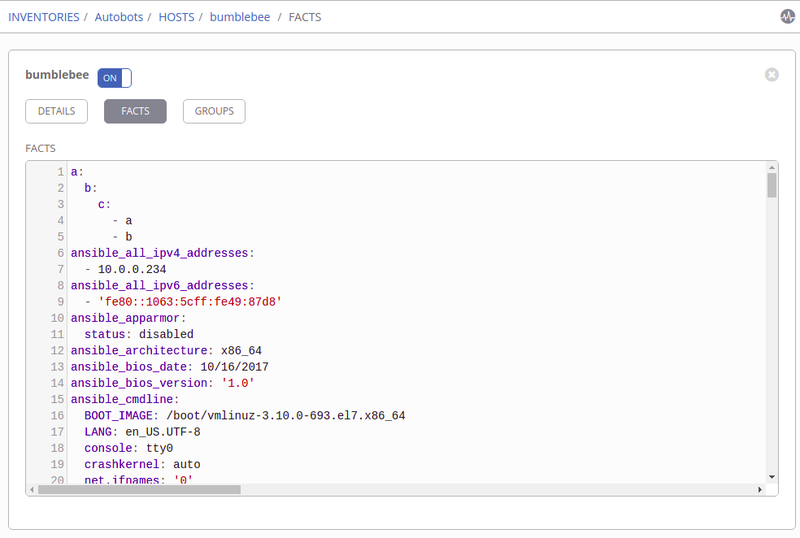 Inject playbook facts to accomplish creating a Smart Inventory to group these hosts. The overall goal is to set is_subnet on a host to True if the host is in the desired subnet, or False if the host is not in the subnet. 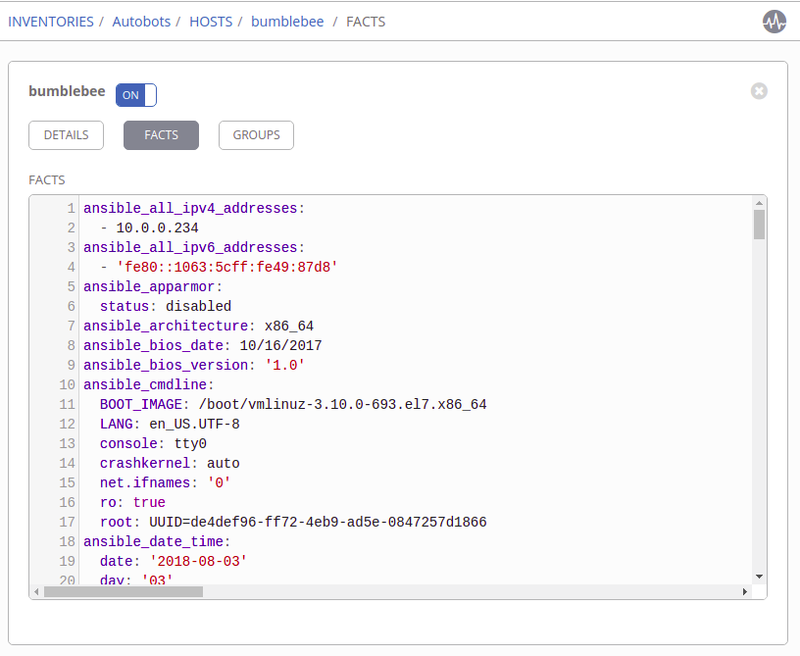 Then, we can construct a Smart Inventory host filter like ansible_facts.is_subnet:true to get hosts in the subnet. The below playbook accomplishes this. - name: "Presume host to not belong to subnet"
- name: "Figure out if host belongs to subnet"
Currently, all traditional relational database fields on Ansible Tower objects can be used in a Smart Inventory host filter query (i.e. Host name, Inventory name, Organization description, etc); the only JSON searchable field related to Hosts is the ansible_facts field. We hope to expand the searchable JSON fields in the future as well as the operators supported (right now we only support equality). However, much consideration must be given to the performance characteristics as well as the storage requirements in doing so. 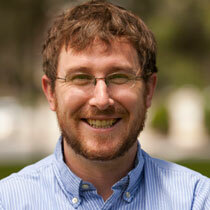 Chris is a Principal Software Engineer, Ansible, contributing Red Hat Ansible Tower backend APIs. Outside of work Chris hones his skills as an amateur carpenter on his house. To learn more about those you can follow him on Twitter at @oldmanmeyers85.